Imagine entering a store customized for you. The sales staff anticipates your unique needs, knows your sizes and tastes, and offers discounts on products you actually want. They make relevant suggestions so you don’t miss out, pointing to things you’re sure to like but may not have otherwise noticed. And they remember your previous purchases, recall what worked and what didn’t, and strive to make this visit even better than the last. It’s every shopper’s dream come true. In the not-so-distant past, highly-personalized retail experiences like this existed only for elite consumers. Upscale retailers vying for wealthy customers used personal shoppers and concierge services to ensure select clientele were shown products perfectly suited for them. But in the digital age, what was once an exception for the rich and famous is now within the reach of every shopper. And today’s consumers aren’t merely accepting personalization – they demand it. Why the demand for personalization? With so many product options, it’s easy for online shoppers to get overwhelmed and become dissatisfied. And when shoppers become dissatisfied, they abandon carts and brands. Personalization delivers a solution. High-functioning personalization strategies enhance a shopper’s journey and mitigate these frustrations. The result? Most consumers today (91%) opt for retailers who offer a personalized experience over those who don’t. Just how deep does the desire for personalization run? With numbers like this, it’s clear that growing personalization is imperative for retailers interested in getting – and keeping – customers. And savvy online retailers haven’t failed to notice the increased demand. According to SLI System’s H1 2018 E-commerce Performance Indicators and Confidence (EPIC) Report, one-third (33%) of retailers across the globe say their companies are already giving their customers a personalized online experience and almost half (49%) plan to add it in the next year. In fact, only 7% of retailers worldwide say they are not adding some form of personalization to their e-commerce strategy. As e-commerce professionals know, Customer Experience can either entice customers to return or drive them to the nearest competitor. And it’s clear personalization is a must in order to deliver a strong customer experience. But personalization isn’t a single-faceted entity. What’s more? Choosing the correct personalization strategies can make or break a shopper’s online experience – and the bottom line. So how are e-commerce businesses personalizing and how do they plan to expand? SLI’s EPIC Report indicates that with 57% of those surveyed saying it’s already in use, Emails Triggered by Online Behavior is the top way retailers currently personalize for their online shoppers. And it’s no surprise. MarketingDive explains that personalized email subject lines “can increase open rates by 50% and lead to 58% higher click-to-open rates.” The second most common way to personalize is Recommendations Based on Online Behavior (55%) followed by Segmentation Based on Demographic Data and Offers Triggered by Online Behavior, which tied for third (34%). Underutilized strategies offer unique pathways to personalization. Less used forms of personalization reveal opportunities to improve customized shopping experiences through a variety of alternative strategies. But which strategies can retailers use to take advantage of these opportunities? SLI uncovered that Persistent Profiling through a Data Management Platform (DMP) is the least utilized method of personalization with only 6% of those surveyed reporting it is currently in use. DMP is closely followed by Offers Triggered by Offline Behavior (7%) and Recommendations Based on Offline Behavior (9%). To be successful, personalization must actually be personal. Conversant found irrelevant content is the number one way to frustrate shoppers and lose sales. So how do retailers ensure their customers’ personalized experiences are, in fact, personal? Tracking and utilizing online behavior in the right ways. And e-commerce strategists are taking advantage of expanding technology in this arena. SLI discovered the top ways retailers plan to expand personalization all center on online behavior. The top approach selected for implementation this year by 42% of retailers is Offers Triggered by Online Behavior. It was followed by Emails Triggered by Online Behavior and Category Page Results Based on Online Behavior 38% each in second place. Recommendations Based on Online Behavior took third place with 36%. Finding out what your customers want and helping them get it through a personalized e-commerce experience isn’t just good for shoppers, it’s good for business. Sixty percent of those surveyed by SLI believe personalization will increase conversion rates. As technologies to improve personalization expand, retailers must take advantage or risk losing consumers to those who’ve embraced the growing demand for personalization. For more on the latest trends in e-commerce personalization, click here to download the H1 2018 EPIC Report. SLI Connect is sparking exciting e-commerce discussions on both sides of the globe this month. Earlier in March, we had our most successful SLI Connect UK yet. With an unprecedented 200 attendees from 150+ leading retailers such as Harrods, Harvey Nichols, Tesco, Jigsaw London, Warehouse, Chemist Direct and Paul Smith, we could not have asked for a better or more expert turnout. I want to thank all who attended and presented for your invaluable participation at the show. At the end of the month, we will hold our next SLI Connect in Australia – SLI Connect AU. Through discussions with customers and colleagues at SLI Connect UK, it was clear that the future of e-commerce is flush with opportunity. We’ve all heard the buzzword ‘omnichannel,’ but the reality comes down to this: true ‘omnichannel’ means the channel becomes totally invisible to the customer. To make the omnichannel experience seamless and successful, the retailer must subtly meet shoppers at all points in their user journeys in a personalized manner. Here are two real-world examples I was fortunate to learn about at SLI Connect. Top clothing retailer Jigsaw is positively moving toward omnichannel retailing. 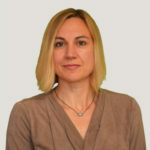 Jigsaw’s Head of E-commerce Kate Holt presented at SLI Connect, where she revealed that Jigsaw was experiencing a massive rise in smartphone traffic. She informed us that 55% of traffic and 44% of sales came from mobile devices! Jigsaw uses SLI Mobile to ensure its mobile shoppers are quickly finding the items they want to buy. Kate reported that the results to date have been staggering, with revenue up 47% and conversion rate up 30%. Leading clothing retailer Warehouse is also working toward omnichannel retailing by executing a robust personalization strategy, according to SLI Connect presenter and Warehouse Digital Trading Manager Liam Price. Through Warehouse’s popular blog ‘Tales of the City’; various payment, delivery and returns options; product recommendations (via SLI Learning Recommendations); and advanced site search (via SLI Learning Search), the retailer’s e-commerce site is experiencing a 7% increase in visitors and 3.4% increase in conversions. In fact, a test run by Warehouse found that when SLI Learning Recommendations were removed from the product page, total revenue fell by 2%! Multichannel, Omnichannel – It’s Just Retail! SLI Connect Australia – Less than Two Weeks Away! There’s still time to register for SLI Connect Australia, which is coming to Sydney on 31 March 2015 at the Quay West. More retailers and e-commerce professionals will gather there to discuss and explore the future of e-commerce, with speakers from ChannelAdvisor, Shopbot, Bras N Things, Appliances Online and more. We hope you can be part of this powerful event! At the beginning of each year, many people ask me what trends to expect in e-commerce technology for the year ahead. For 2015, I see vast opportunities for increased personalization in the online shopping experience. Most retailers do a poor job of personalization because they don’t know enough information about their customers, or because the information they have is poor quality. Their knowledge is limited to what they can gather through the interactions customers have with them, which are inevitably a small part of shoppers’ total retail experiences – plus they often lack context. An example of failed personalization is when I recently logged on to Amazon and saw an array of suggested romance novels – not because I’ve read or purchased them, but because my wife did so using my account. Although Amazon has information about a lot of purchases made on my account, they don’t know who those purchases are for. Other retailers know even less about me than Amazon does and are likely to make even worse recommendations. As an industry, I think we can do a lot better with personalization. While consumers expect and prefer the personalized shopping experience, they also want the ability to control how their personal information is used. Trust is also a critical factor, and retailers can best earn customers’ trust by consistently providing secure and positive shopping experiences. At SLI Systems, advances in personalization are among our high priorities for the coming year. In supporting more than 1.5 billion search queries last month, we have a wealth of insight into search and conversion patterns for shoppers around the globe. When we combine that knowledge with our team’s decades of expertise in site search and navigation, there’s a lot we can do to continue improving the ways we help shoppers quickly and easily find what they want to buy. We also have customized solutions for customers that want to auto-filter based on gender or other previously-gathered customer information. For example, when you navigate on BodenUSA.com to the women’s section of the site – then perform a search for “shoes” – the SLI engine remembers you’re looking at women’s products and keeps you in that section for your subsequent searches, unless you specify otherwise. There’s a lot more we can and will do with personalization. I look forward to unveiling future products and features that bring personalized shopping to an entirely new level. 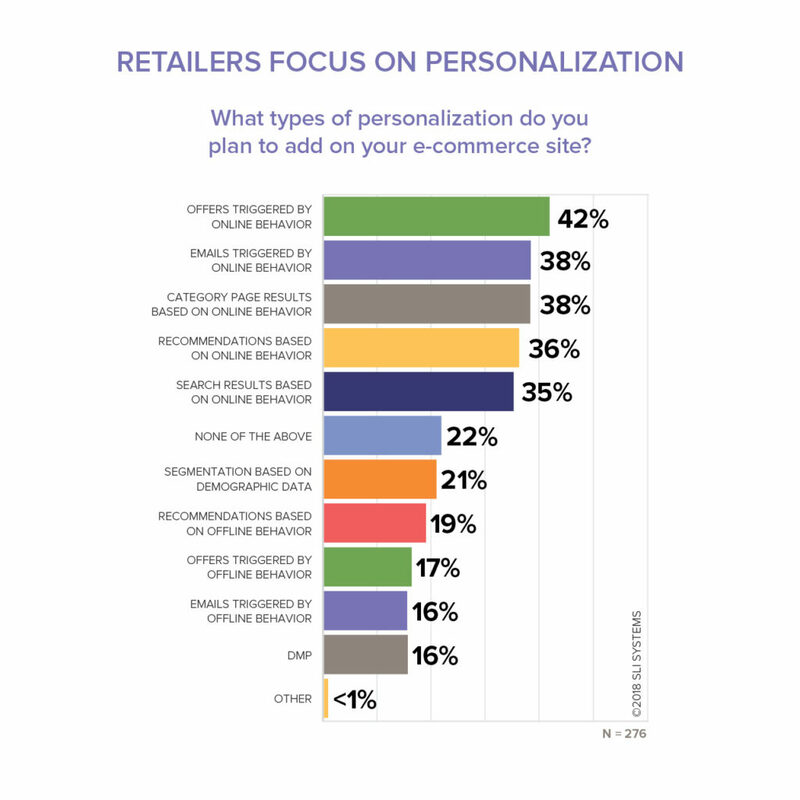 To hear more on this subject, I invite you to listen to the on-demand version of our latest webinar, “The Shopping Experience of the Future.” On the webinar, I am joined by Lakeshore Learning VP of E-commerce Sam Sarullo and SLI Systems CMO Tim Callan to discuss personalization and other trends for 2015.